I’m devoted to the arts and creative expression. When I’m not working on my own pages and books, I’m helping other creatives hone their skills, from establishing practices that will allow them to focus on their creative work, to how to more effectively market themselves. Over the years, I’ve also developed a deeper relationship with many editors. It has become more of a conversation (rather than a sales pitch). As the author of more than 70 essays featuring artists and their creative processes, I’ve learned from these editors that they wish artists would improve the way they present themselves through writing. The problem is that many of the artist statements and essays in print use what is called “artspeak,” and not all editors, gallery owners, and collectors like it; in fact, they often privately tell me they’d like to do away with it. What is artspeak? It’s a way of talking about art without saying anything significant. Many artists make the mistake of using their artist statement to analyze their work and interpret it for the viewer. There’s a BIG difference between what you think about your work, and how you see the world. The key is to let viewers into your world through the magic of story. This happens to be my specialty, and this is why I’ve created my Artist Statement & Web Writing Package. Too many artists are not getting the attention they deserve because they are telling an ineffective story. Update, clarify, and improve your artist statement and website content so that it truly represents what you make, as well as your professional and artistic aspirations. 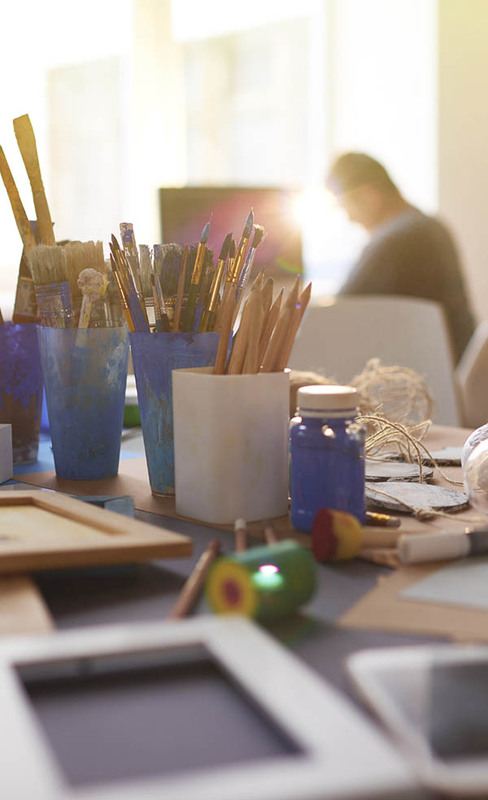 With current, compelling content, your artist statement should lure gallery owners, exhibition or residency jurors, collectors, granting agencies, academic institutions, and everyday art enthusiasts alike. We’ll begin with a 20-30 minute pro bono consultation to answer your questions and be sure we’re a good fit. Then, over the course of one week, I will guide you through a process via phone (or Skype) and email to help you articulate who you are as an artist and what you do. Using this information, I will review your existing documents, images, and website content to create new and improved materials that effectively represent you and your work. This writing will be precise and evocative and will last for years to come. By the end of our first week together, you’ll have drafts of your new content. By the end of the second week, we will have made any necessary changes, corrections, additions, or updates and you will have your final drafts—ready to share, loud and proud. *multiple artist statements, content for multiple shows, documents about a particular series of work, or resumes can be included for an additional fee. Send a note expressing your interest in the Artist Statement and Web Writing Package. I grew up in a fishing village in Maine, along a narrow road that lead to a granite causeway stretching into the ocean. At the end of this causeway, Clark Island awaited. I spent hours of my solitary childhood roaming the shores on either side of this island and the mainland, amassing a visual vocabulary of images that informs my work today: the undulating waves of the ocean, seafoam washed against rocky outcroppings, tidal patterns across the sand, and especially the distant horizon. The spark for almost every textile I create stems from questions pertinent to my connection with the flux between land and sea. How do we discover direction in life amidst an environment subject to constant change? If I navigate using a shifting internal compass, where does a sense of purpose originate? If “home” is both a feeling and a place, dominated by ever-shifting tides, how do I position myself in the world: as an onlooker perched safely ashore, or as an agent of change that moves fluidly? Questions of impermanence and purpose are part of the human predicament, and I balance this uncertainty by beginning each weaving project from a place of experiential understanding. Like sailing for the distant horizon, it’s never possible to actually arrive. Using a rare hand weaving technique called ondulé, I maneuver threads out of the strict grid and into wave-like patterns and lines. The resulting contemplative fields of woven work uphold a minimalist aesthetic, with high regard for restraint. Physically, the process of moving with the loom and positioning the reed at varying intervals in ondulé weaving mimics the movement of the tides. Aesthetically, ondulé enables me to capture the fluidity and textures in my visual vocabulary so that, in the end, each piece feels like home. I love to present to creatives on the importance and how-to of telling a clear and compelling story. Via Skype or live, I’d love to visit your classroom or arts organization.